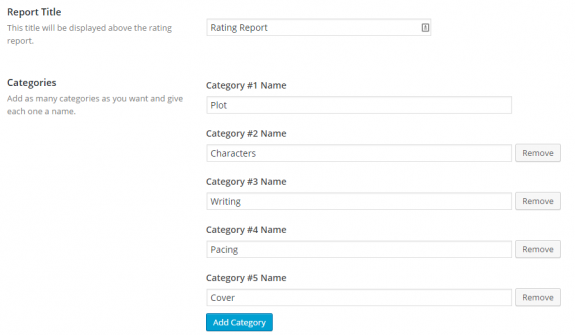 You can create different rating categories and set the titles for each of them. 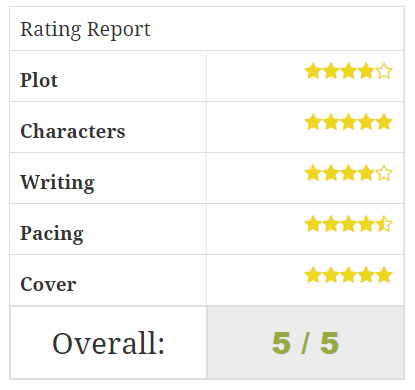 Then you can set different ratings for each category when writing your book review. The settings panel allows you to switch between number ratings and your own UBB star rating graphics. The simple [rating-report] shortcode allows you to display a table of all your ratings for each category. All your ratings transfer over! 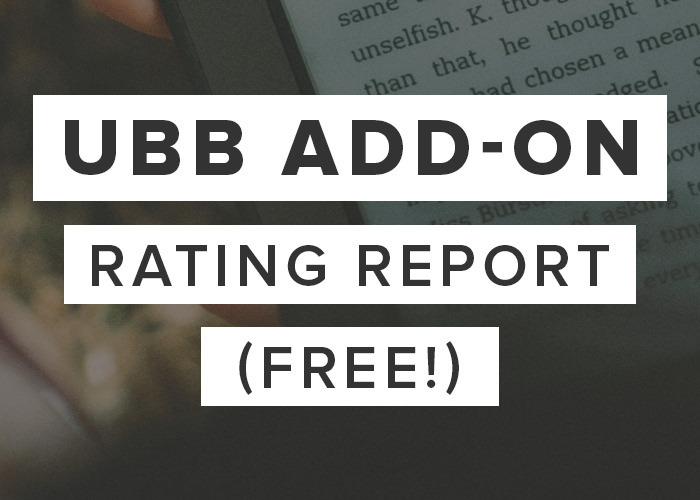 Want to migrate from the original Rating Report plugin? No problem! This add-on will import all of your ratings from the original plugin (provided they’re inputted in the same order). It also uses the exact same [rating-report] shortcode so it will still appear on all your old posts! This add-on requires at least version 3.0.3 of the Ultimate Book Blogger plugin. Fix: Ratings not always saving on book #0. New: Add [rating-report] shortcode instructions to top of book info metabox. Fix: Selected ratings not displaying correctly on Edit Post page for sub-books. Tweak: Load add-on on plugins_loaded hook. Zero star ratings are now displayed in the report and are included in calculated averages. Added $post and $number parameters to ubb_rating_report_extra_fields filter. Fixed a problem with 0 stars being selected by default. Fixed a glitch when displaying the rating report for a sub-book ( with [rating-report number="1"] ).